Kathy Yuen is president of Phase One Design. Tell me about Phase One Design. How it got started, why, where you’re located and what you do? Yuen: Phase One Design is a residential design firm. We specialize in the architecture of luxury custom homes (not to be confused with interior design). How did it all start? I’m a five-feet-tall Asian-Canadian young woman. Before Phase One Design, I sought what was perceived as a non-standard career path of managing construction projects on site. Yep, hard hat, steel-toed boots and all. My job involved managing trades to construct buildings, using drawings issued to us by external design firms. There were things that would drive me crazy about the drawings I had to work with. For example, drawings that weren’t actually buildable or designs that weren’t structurally efficient, which costed the client more money. And the list goes on. I saw an opportunity to make it better. Phase One Design was founded in 2006. We were going to be better. Fast forward to today. We’ve designed over 500 custom homes across Canada with studio locations in Vancouver and Calgary. Our design work has been nominated for over 22 awards and won over 14 awards. What are some of the key trends you’re seeing in your industry? Renewed focus on curb appeal: I used to hear some people declare “I don’t care how the outside of my house looks – why should I? I live inside.” OK, I suppose that’s a fair statement (even though I don’t agree). But think about it. If you’re designing a custom house, shouldn’t the first impression be “Wow!”? I’m not saying you need to go overboard, or be pretentious. But the exterior aesthetic of your home is equally as important as the interior. Homeowners are recognizing how powerful the exterior aesthetic of a home is to its overall experience. Not only that, it also adds to the monetary value of your home. Curb appeal matters. Smart design: Real estate is expensive. People want a savvy home design that maximizes their space. Homeowners are considering their future needs, and designing homes that serve their family for a long time. Designs now incorporate rooms that have multiple uses. Like flex rooms that can double as bedrooms, offices, craft rooms or play rooms. The home evolves with the family. Formal dining rooms and living rooms aren’t used often. That’s valuable square footage being wasted. So these formal rooms are being eliminated entirely from designs. Also, accessibility is now a standard topic of conversation. Home design should consider aging-in-place for the primary owners, or aging family and friends. “Let’s plan for an elevator and a main-floor master bedroom,” are common discussions to extend the useful lifespan of the home. Sustainable design: This is a buzzword you hear thrown around a lot and can mean a lot of things. But this is a long-term trend that I’m confident isn’t really a trend and is here to stay. Here’s why: The B.C. Energy Step Code has taken the sustainability trend to a new level. This building code mandates a certain level of energy-efficiency for all new home building. Besides the environmental benefits, this code will help ensure all new homes are built to a higher quality (think better indoor air quality systems, enhanced insulation equals less heating and cooling bills, better performance windows, etc.). These higher quality homes perform better during their lifespan, and last longer overall. The National Building Code of Canada is peeking over B.C.’s shoulder and will follow suit by 2030. 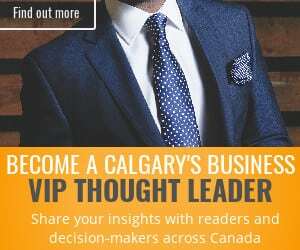 What’s your sense of how the luxury real estate market is doing these days in Vancouver and Calgary? Yuen: Luxury real estate is an interesting space. In general, the luxury market follows the same ups and downs as the rest of the real estate market. From my experience, it seems there’s always a demand for luxury real estate to some degree. Calgary has seen a significant slowdown in the market over the past few years. You obviously can’t ignore the data. But we’re finding there are still many homeowners who actively seek and find opportunities within this slower market. For example, if you’re considering building a custom home, there’s a lot more opportunity to secure that perfect piece of land for your custom home now. There’s a wider selection of land to choose from. There’s more negotiation room in your offers. Surprisingly, we still have clients who are encountering multiple-offer scenarios when they’re buying their land. Normally this happens with land that’s highly desirable, such as land with a view or some other great feature to it. Slower real estate markets can be challenging. But it also creates opportunities for those who seek them out. In Vancouver, you hear a lot about how the luxury market has slowed down. And it’s true. There has been a slowdown in the market. But it’s all relative to what you’re comparing it to. The Vancouver market was red hot for years, so obviously when you see any sort of decrease, it feels like it’s slowing down. But if you start comparing it to other Canadian cities (not including Toronto), it’s still quite an active market. We’re still seeing a steady demand for custom home designs in the Vancouver area and expect this trend to continue well into 2019. What are your future plans for the company? Yuen: I love the progress we’ve made over the last 12 years and I’m extremely proud of all our team’s accomplishments. We’ll always continue to serve our clients, seek to create amazing custom home designs and build a world-class team. These are the key things that have contributed to our success to date. Moving into the future, our strategic plan is focused on continued growth and innovation. We’re assertive in our growth, but also careful to balance growth with our ability to service clientele and maintain quality. We’re in the planning phases to open our third studio location in the Toronto area. Our Vancouver expansion was a steep learning curve but taught us valuable lessons. We’ve established a solid formula to sustainably scale the company without sacrificing the quality and boutique nature of what we do. We’ve also recently launched our YouTube channel, Custom Homes with Kathy. The homebuilding process is a huge investment and can be intimidating. There aren’t very many resources out there on this topic. The channel is our way of educating homeowners to make smart decisions. This was a huge effort to get this launched. We’re excited to continue to grow this channel and help homeowners into the future. How did you get involved in this career and why? Yuen: My first love was construction project management. I landed my dream job shortly after I finished the Architectural Technologies program at SAIT. I worked onsite managing trades, budgets and construction projects. After a few years, I made a tough decision and left my secure, well-paying job to start Phase One Design. I was 26-years-old. I had zero business background. But I had a vision and a new dream: Build a custom home design business that would leave an impact on the world. I had no clue how I was going to do this but was fiercely determined. I’ll be totally honest and vulnerable – it wasn’t easy, especially with no business background. The first few years were a huge learning curve with a new challenge every single day. I read every business book I could get my hands on, joined business coaching groups, worked insane 90-plus hours a week. We dealt with the ups and downs most entrepreneurs go through in addition to trying to deliver world-class home design services. Things like how to do (and make!) payroll, reading a financial statement, legal contracts, building a team and culture … the list goes on. But I loved the challenge. The hard work slowly paid off. Our team slowly grew. Our client base grew. The business grew. We started winning design awards. Consistently. Every year. More great times came. More challenges came. 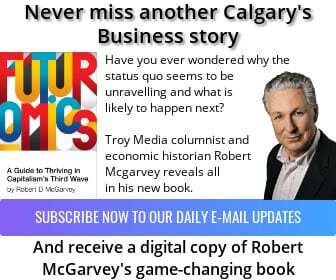 The Calgary recession hit us like a ton of bricks and almost took us out. But we kept going no matter what. With the support of a ton of amazing people along the way. And here we are today, almost 13 years later. I wouldn’t trade the experience for anything in the world. Now as I’m midway through my career, my ‘why’ is more clear. I hope to inspire others to have tenacity in what they do. Never give up on your dreams. If you work hard enough and surround yourself with great people, you can achieve anything you want in life. 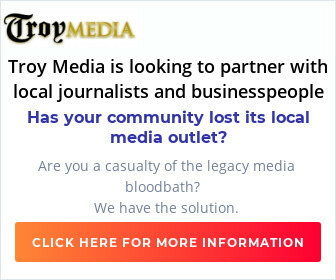 Calgary’s Business is a Troy Media Digital Solutions Associate website.